There are plenty of rumors floating around about getting medical treatment in Mexico, or another term used by frequently returning vacationers is Medical Tourism. I am here to provide some insight regarding medical and dental procedures that I and others have had done south of the border. 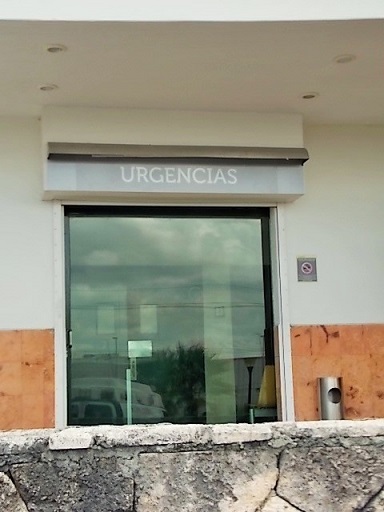 CostaMed – pictured above, in the popular resort town of Playa del Carmen, Mexico is very similar to a United State’s Urgent Care. It can also be used as a day surgery facility as well. There is a couple that we know and periodically hang out with when they visit Playa del Carmen. 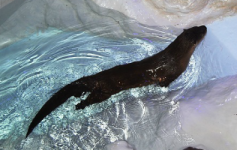 During one of their visits, Kim’s husband came down with a digestive problem – queasy stomach and constant diarrhea. They took him to CostaMed and saw a doctor who diagnosed his aliment as having a parasite. After the emergency visit, lab work and taking the prescribe drugs, his problem was gone and all for under $300 USD – including lab fees. While staying n Playa del Carmen, I developed a small sore on my chest that would not heal all the way. After months of putting off seeing a doctor, my wife insisted that I have it checked out. 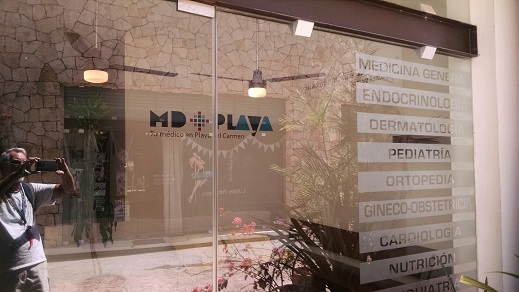 We found a doctor in town that was recommended to us by a few expats. After a brief examination, he referred me to a dermatologist – no charge for his referral. We made an appointment and visited the doctor. He immediately diagnosed it as basal cell carcinoma. 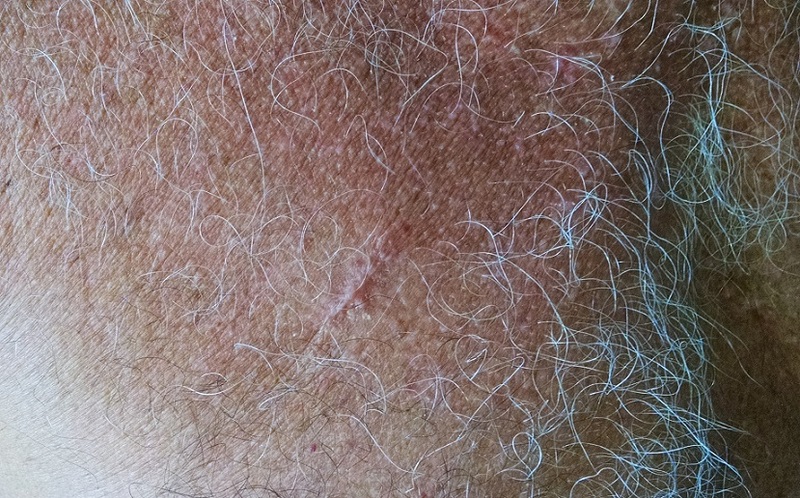 A skin cancer which is very common in people who are in the sun a lot. The Dermatologist recommended a procedure and asked if I would like to have it done right then. It didn’t take me but a minute to decide on proceeding with his recommendation. Without further hesitation, he performed the minor out-patient surgery. The small operating room was modern and very well equipped. The doctor was very thorough in his preparation and explained the operation step by step. I walked out that day feeling very confident that the procedure would be nothing less than a total success. The lab work came back benign and it healed just fine. With all this said, the office visit, minor surgery, follow up appointment, and lab work came to $183.00 USD. I won’t even try to imagine what this would have cost me in the United States – with or without insurance. 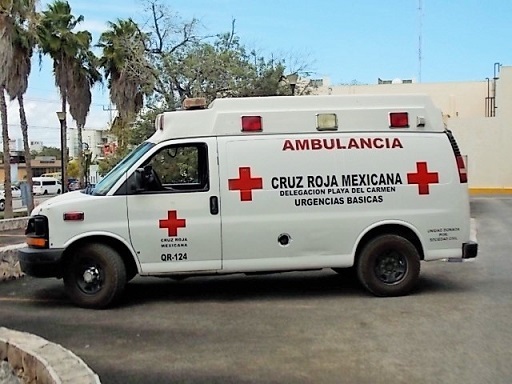 Playa del Carmen has 3 hospitals that can handle most immediate traumas. 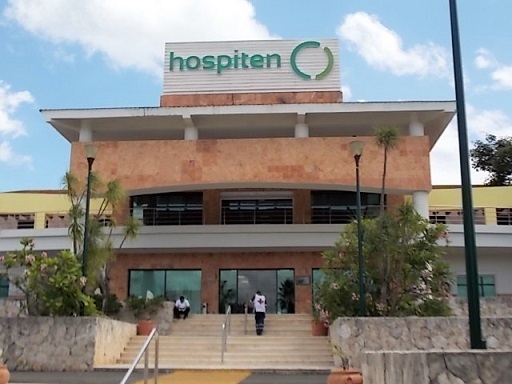 Hospiten Riviera Maya – pictured right, is frequently used by most North Americans for non-life threating issues because of its location. It is very close to the resorts and the upscale gated community of PlayaCar. It has been reported that even though the costs are much lower than the United States, they are considered high for Mexico standards. 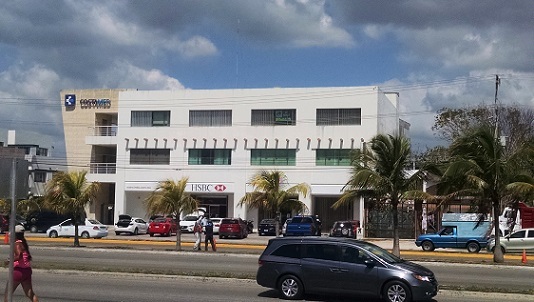 The “General Hospital” is located further into Playa del Carmen’s up and coming outer area. It is more like a regional hospital that deals with more serious situations. Most of the private sector doctors use this hospital when referring their patients for additional care. 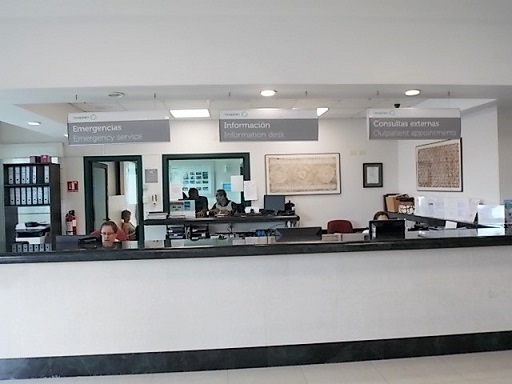 There is a third hospital located in Central Playa called San Carlos Riviera Maya. This facility is a smaller community hospital that treats minor issues and works closely with the General Hospital. All three of these hospitals are considered up to date with equipment – mainstream technology, standard procedures and qualified doctors. This is not to say that they don’t have their issues as all hospitals do, but all three seem to have pretty good reputations. I really can’t give a precise cost because I haven’t experienced a hospital stay, but I have no doubt that they are less expensive than the US. One note that has been passed on to me is that you must show proof of ability to pay before service is rendered – especially foreigners. The ambulances and rescue vehicles seem less impressive with being white in color and not the hefty box-end trucks we see in the US. But they seem to do the job well. 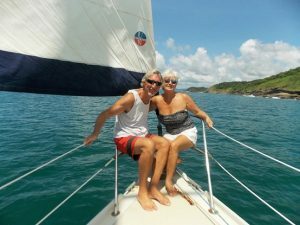 When you are considering looking for a care provider, reaching out to retirees or expats by either on-line or face to face can save you lots of time. 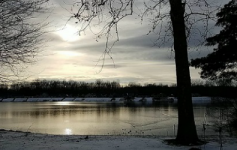 Usually you can get some good feedback from people who have lived in the area for certain lengths of time. There are a wide variety of medical and dental offices scattered throughout town. There are many of them who specialize in certain fields of medicine. I am positive that you can find a physician directed towards your specific need(s). There are offices located in strip malls, side streets and main thoroughfares. Don’t let the building’s outside appearance detour you from going inside. The ones that we have visited are very modern and well equipped. Having dental work done in Mexico is also a great deal. 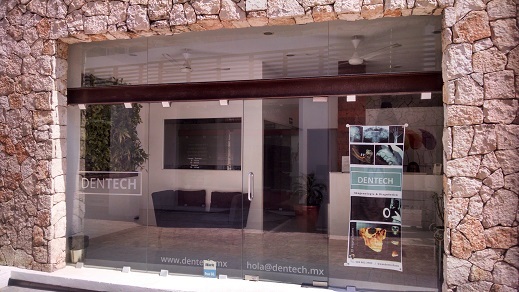 The dentists here in Playa del Carmen are very well educated in all facets of dentistry. We have had our teeth cleaned on several occasions for approximately 40 USD. I have had several examinations, which one of them found a cavity. The dentist got me in immediately, drilled out the tooth and filled it with a composite with no complications. This was all done for 40 USD. I am also having a removable partial made for under 350 USD – compared to $3,000.00. We have another set of friends who live in Colorado. They periodically take road trips to Los Algodones, Mexico, which is just across the border from Yuma, Arizona for their dental work. Phil, who is the husband of one of our own You, Me and The Dock’s travel writer and photographer, broke his bridge and lost four of his teeth in the process. 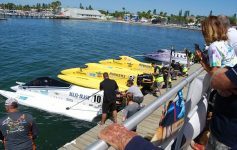 They did some price comparison in and out of the states and what would have cost an estimated $20,000.00 in the United States, would amount to approximately $6,000.00 in Los Algodones, Mexico. Gay explained that even with the road trip to Mexico, which would turnout to be a nice getaway, the savings would still be around 60 to 70 percent. They set their appointments on-line so they don’t have to wait long to see the dentist once they arrive. 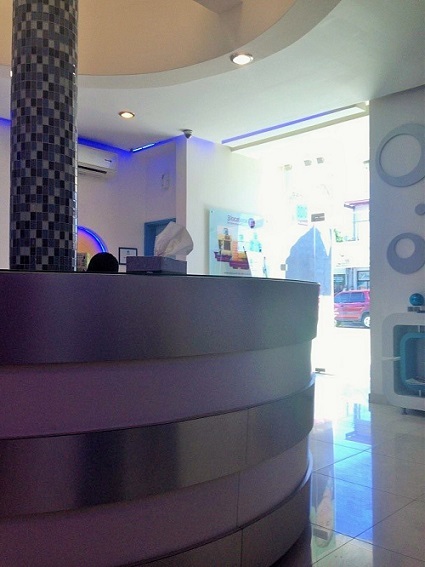 Gay went on to say, “The experience is just like a dental appointment in the United States. 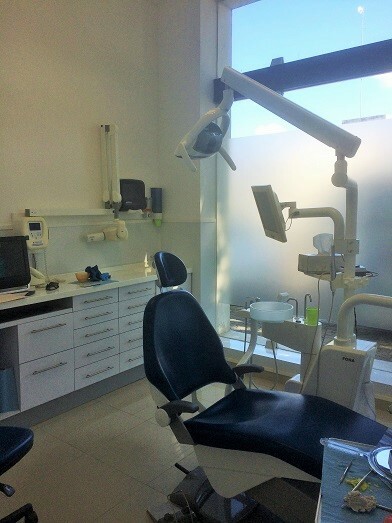 All the equipment is up-to-date, the staff is very professional, and the dentist has all his credentials on display”. She also explained that most of the patients in the office were from North America looking for affordable dental care. This also included Canadians as well. My wife was looking at a similar procedure, but she only needed two implants and a bridge removed. We priced it in the US for right at $10,000.00. We had the work done for under $2,600.00 USD. The doctor spoke several languages that included English, has his credentials mounted on the wall, and was very professional and attentive during the whole procedure. The rooms are equipped with the latest technology and are quite comfortable. 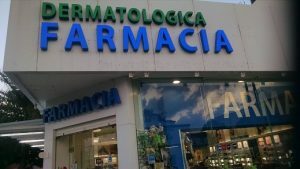 There are plenty of farmacias (pharmacy) that offer a variety of over the counter and prescription drugs – most can be acquired without a prescription. 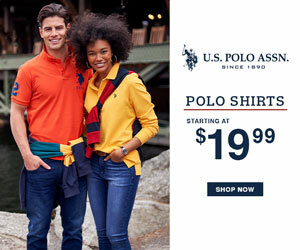 They are usually priced at or slightly above what a normal copay would be. For the individuals who buy prescription drugs and transports them back to there homeland, be aware of any policies that limit people taking prescription drugs across the border. Read the link provided to make sure you understand all the ramifications involved. A very important note to consider is that most of the employees in these drug stores “are not” schooled to be technicians and/or a viable source for information. When purchasing a drug that normally needs a prescription, consult a professional – your local or back home doctor, before taking a generic version or off brand drug. Some farmacias do have on-duty Pharmacist, but the price of the drugs are increased to compensate for the Pharmacist. Just like doctors, dentist offices are located all around town. We did some leg work by going from office to office asking questions and getting a feel for the atmosphere. Getting on-line and researching local sites where you can read about expats and their experiences also offered us lots of help. Mexico can be perfect for people who want to have regularly scheduled dental maintenance or routine physicals and check ups (Medical Tourism) during their brief stay. Non-life threating ailments and/or procedures are also well advised. Treating extreme traumas can be attended to in Mexico, but should also be discussed with your doctor back home. Mexico isn’t a quick fix for all your health issues. But if you are financially strapped and looking for a possible solution, do some research and see if Mexico can relieve some of the burdens you are experiencing in your home country. Always go into any type of foreign care with your eyes and mind wide open.